I started my musical journey in the 5th grade when I began playing violin. I fell in love with the violin, and the orchestra experience and stayed with it all through school and into the 2nd year of college. I went to Blue Lake Fine Arts summer camp in Muskegon, Michigan for years, then I went back as a counselor when I got older. 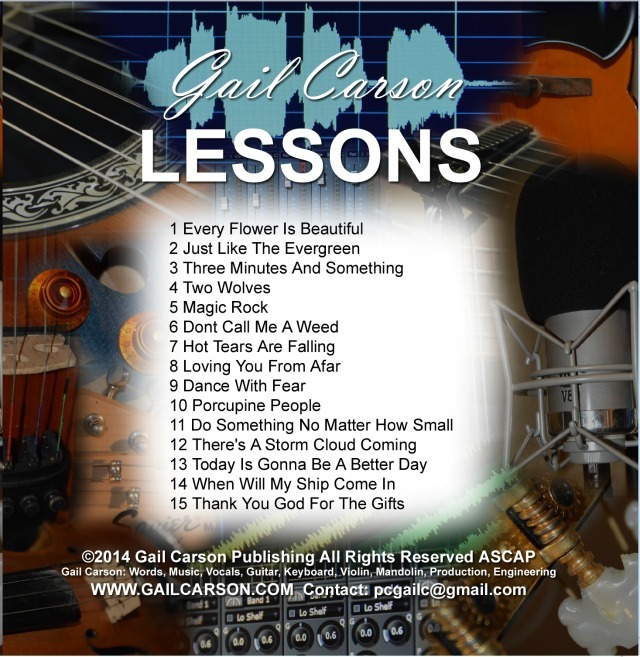 I began writing songs at about 11 years old, and worked hard at it for a long time. 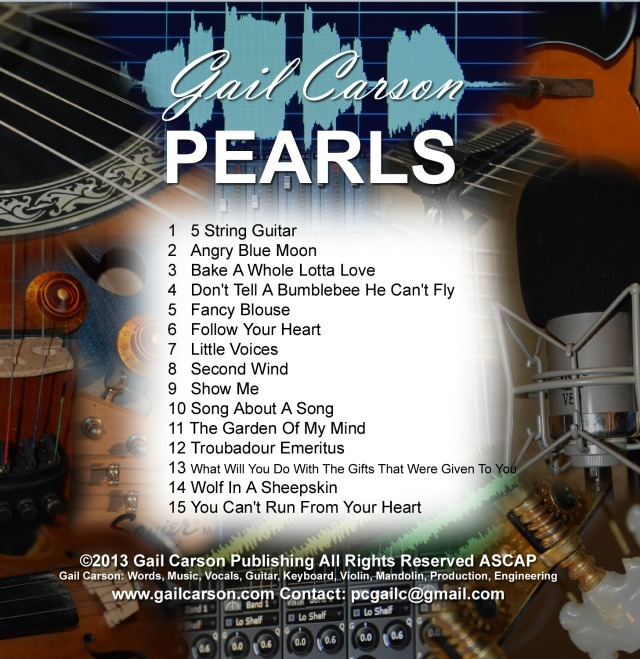 I started a band when I was in my 20's called "Gail Carson and The Key Of G" and we played all over, including cable tv talk shows. 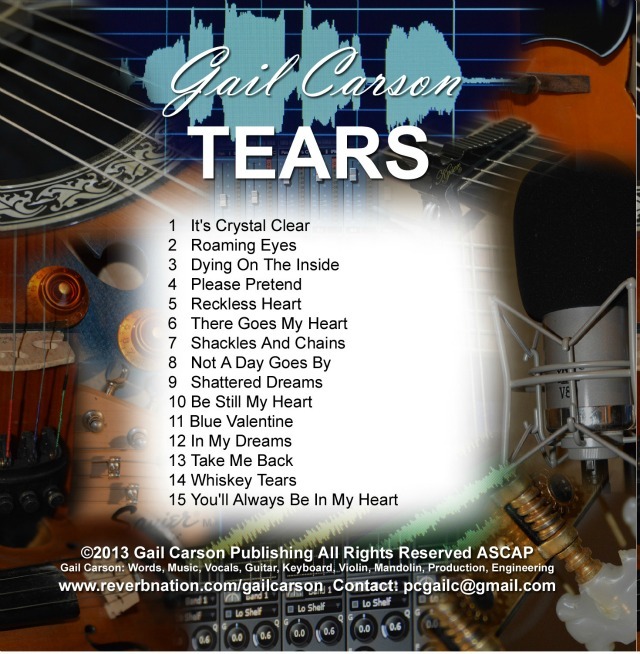 We recorded 2 albums of my original music back then, before we went our separate ways. I moved down to Florida in 1998 and became frustrated with the music business, and took leave of it, while raising my kids, and going back into the workforce. In 2002 I really missed it and joined up with another band to sing cover tunes locally here in Florida. 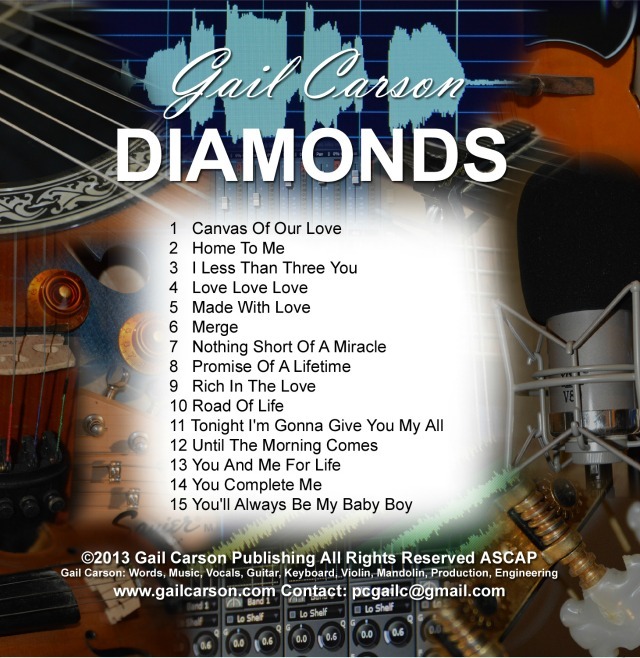 That started my songwriting flowing again and I wrote another Album and released it in 2004. I won Love Song Of The Year in 2004 with my song off that album "20 yrs of Love" through the SSA (ssa.cc) I was surprised in 2004 working full time as an Executive Assistant , in a major corporation, singing in a band on weekends, when I became pregnant with my 3rd child, and had to put music, and my job, on hold again for several years. In 2008 while visiting a festival, I became inspired again by all the musicians, and it encouraged me and I started my songwriting flowing again, and I have been writing music ever since, and really have made it my life's passion. I have produced a 13 CD collection of the songs I have written since 2008. Music is my life now, and my passion is songwriting, and recording, and performing all over Florida when I can. I am very active in the Florida Folk Community, and also volunteer as a Photographer for the Major Festivals throughout Florida to give the musicians promotional photos to help them succeed in their careers. I am sure I left out a whole bunch of other details, like my Professional Videography Business Five Star Video that I owned for several years... I did weddings and bar mitzvahs and had a whole lot of fun! I also started North Florida Family Fun Guide as a helpful online video and pictoral guide to help young families find fun things to do with their children in North Florida. That kept me busy for many years with my little guy, who is now 9 yrs old. 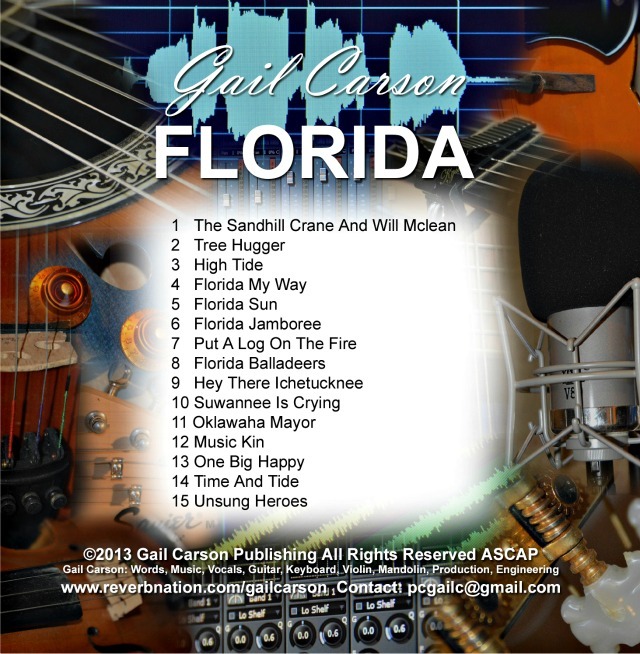 (www.northfloridafamilyfunguide.com) You can hear my music, see my photography, and order my CD's through paypal here: http://www.gailcarson.com/ Thank You! 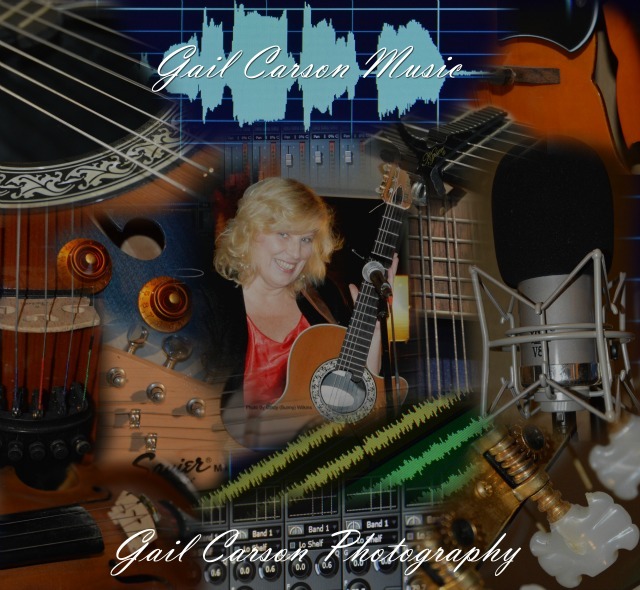 ♥ ♥ ♥ Today you can hear my music on internet and broadcast radio stations here and around the world. 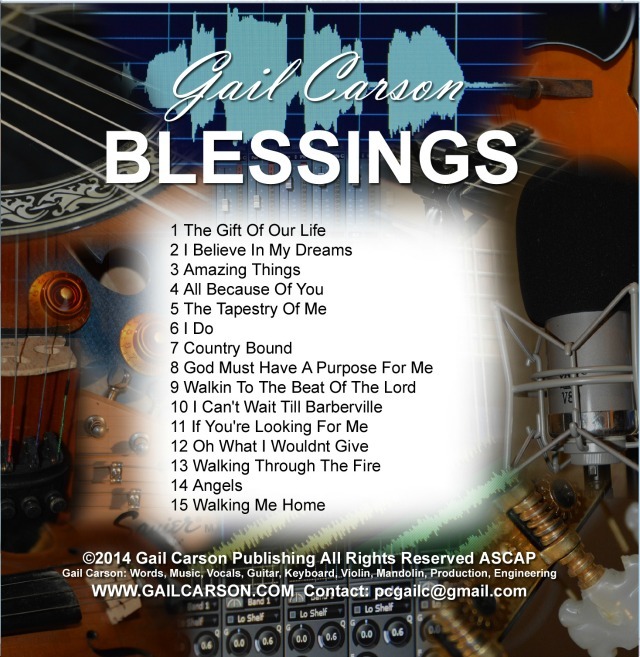 I am very blessed to be part of the worldwide radio community who have embraced me and my original music so well. My goal is to have my music cut by big named artists, and used in movies, commercials, documentaries, and also musical theater. I would love to produce a musical someday. I am working toward that goal. You can also see me perform locally and regionally all over Florida , as a solo performer, and also as a Trio. 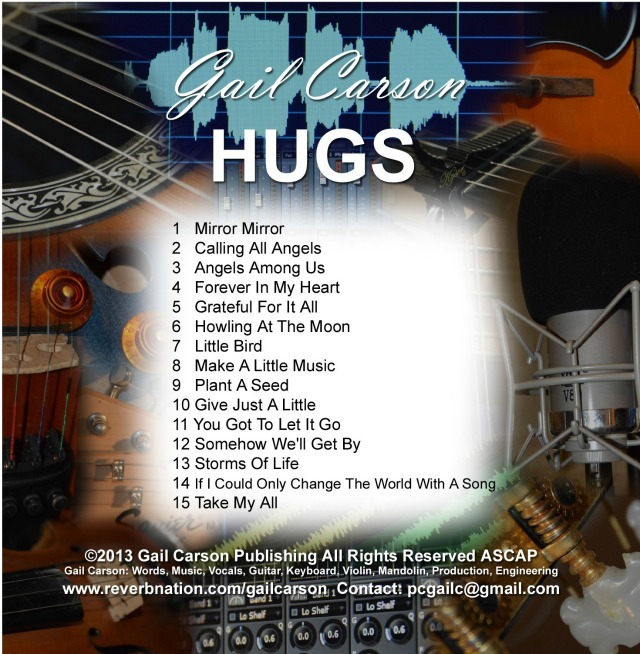 Gail Carson will be performing this coming fall in several wonderful venues and festivals throughout Florida, so stay tuned for upcoming events!! Purchase the WHOLE Gail Carson 13 CD Collection today for only $100!! 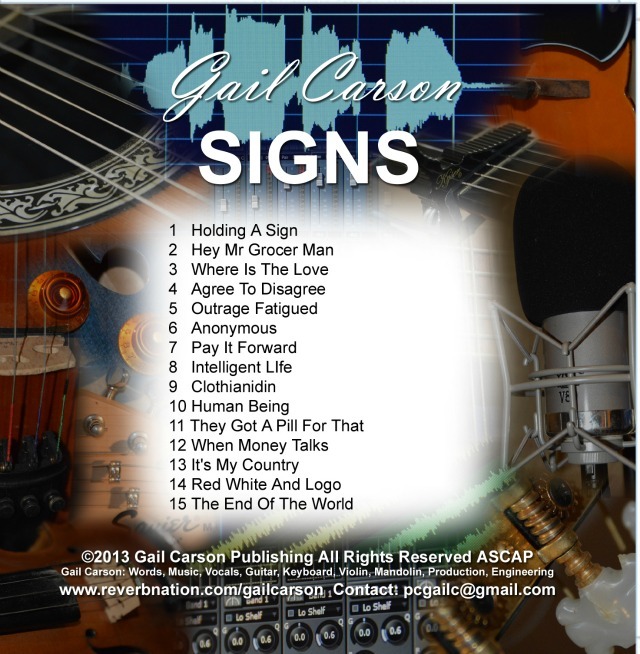 Listen to Gail Carson's Music On Reverbnation !!! Click Here!!! Now Available!!! 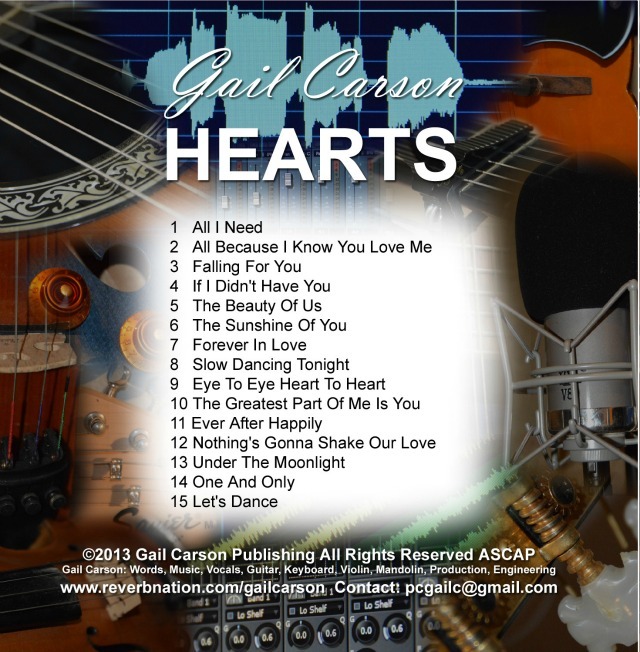 The Gail Carson 13 CD Collection!!! 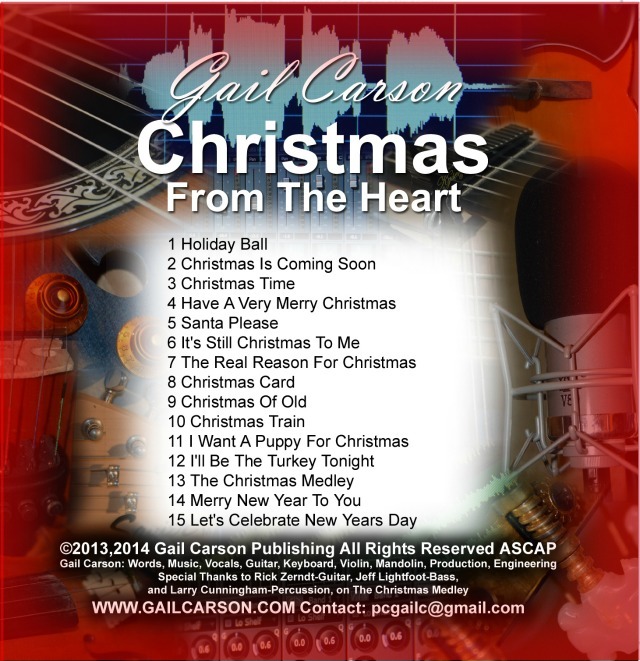 "Florida", "Hearts", "Tears", "Hugs", "Laughs", "Mirrors", "Signs", "Gems", "Diamonds", "Pearls", and "Christmas From The Heart" "Lessons" and "Blessings" All CD's have 15 songs on each! 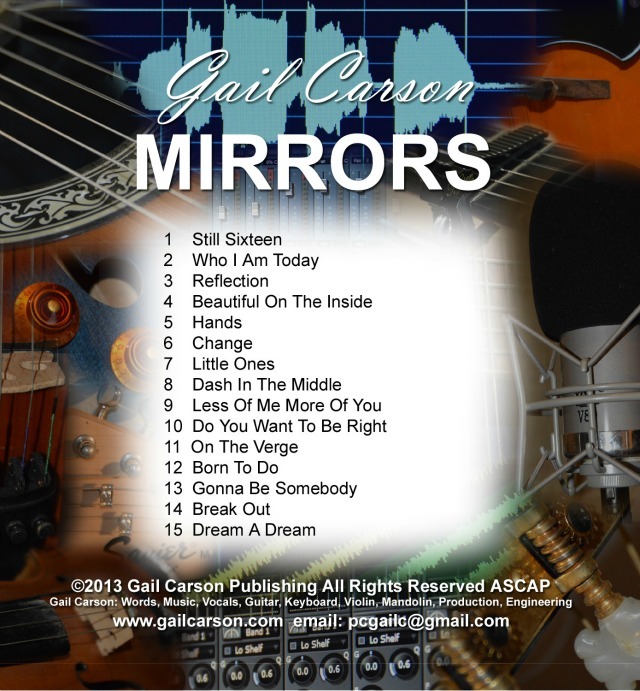 Gail Carson is an ASCAP, Award Winning Singer/Songwriter who writes songs of encouragement,inspiration,hope,life issues, laughter, lessons, love, and tears..
2012 3rd Place Lake County Folk Festival "Margaritas In The Morning"
2012 2nd place winner "Gamble Rogers Song Contest" with the song "Oklawaha Mayor"